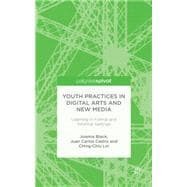 This edited volume brings together a collection of innovative research and community customs about youths' practices in new media that are examined in diverse formal and informal learning environments. This book is designed to promote an understanding of and share knowledge around a growing area of youth interests in digital media and arts learning in traditional and untraditional milieux. Investigations of children's digital arts practice is discussed, in which the authors identify and discuss types of learning, knowledge sharing, distinct social contexts, and pedagogical relationships, as well as creative inquiry in school and community arts learning spaces. Additionally this critical discussion is related to creativity in digital art practices and is considered in light of the recent focus on youths' participation in digital culture that affects social change, pedagogy and creative learning practices. Joanna Black is Associate Professor in the Faculty of Education and is cross-appointed as Associate Professor in the School of Art at the University of Manitoba, Canada. Her research interests and published works are on the subjects of new media in education, contemporary art, and digital visual arts pedagogy. Juan Carlos Castro is Assistant Professor of Art Education at Concordia University in Montreal, Quebec, Canada. He also serves as Undergraduate Programs Advisor for the Department of Art Education. Ching-Chiu Lin is a Postdoctoral Research Fellow in the Department of Curriculum and Pedagogy at the University of British Columbia (UBC) in Vancouver, British Columbia, Canada. Lin's research interests lie in teacher mentorship, as well as issues of technology and community in art education.